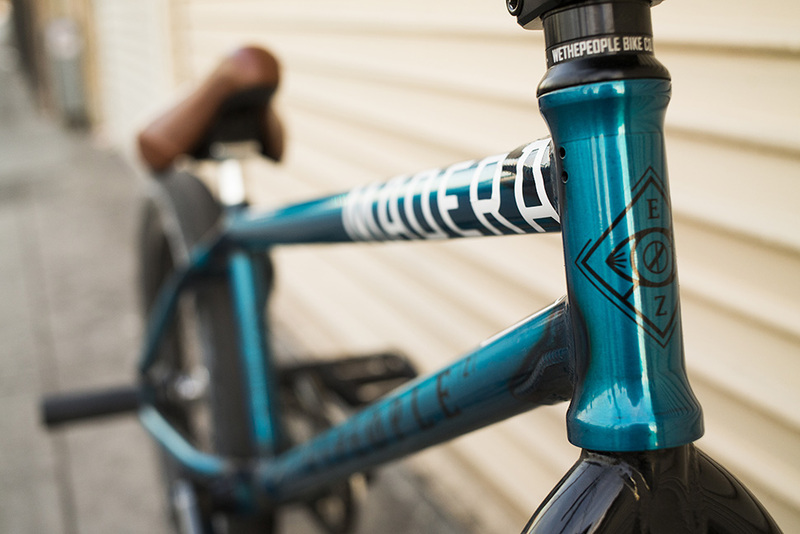 Inventory: The AWAKE Frame — WETHEPEOPLE BIKE CO.
As soon as Ed Zunda joined the squad back in 2014, his vision for a signature frame was clear. After 6 months of trying a few of our frames and working out what features he wanted, the plan for the AWAKE frame was done. 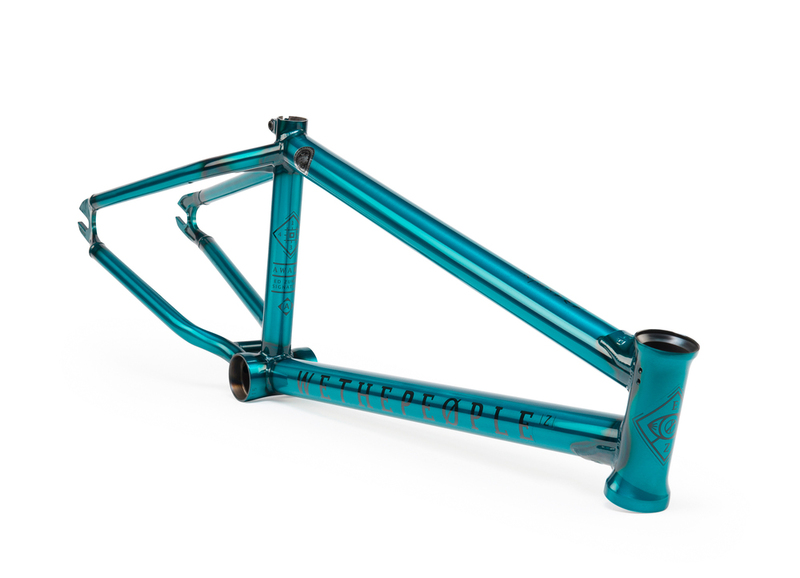 Our shortest and most responsive street frame yet, the AWAKE frame was designed with the technical street assassin in mind. A short 13" chainstay and a steep 75.5 degree headtube are paired up with beefed up 6mm thick invest cast dropouts that are ready for some serious abuse. Ed wanted a frame that looked as striking and strong as it felt. We worked with Ed on his frame decals which were designed to look amazing with both the Matt Black and the Trans Frost Blue paint finishes. 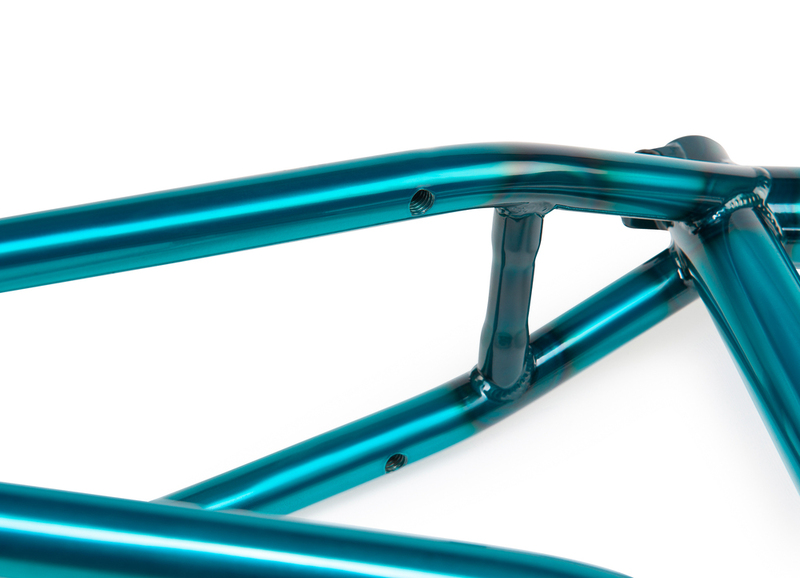 The 6mm thick invest dropouts on the awake frame keep the backend incredibley stiff, a necessity when your throwing hard 3's out of rails as regularly as Ed does. The dropouts give plenty of room for a peg and hub guard combo on the inside of the dropouts, especially with the back wheel slammed back at that 13" sweet spot. 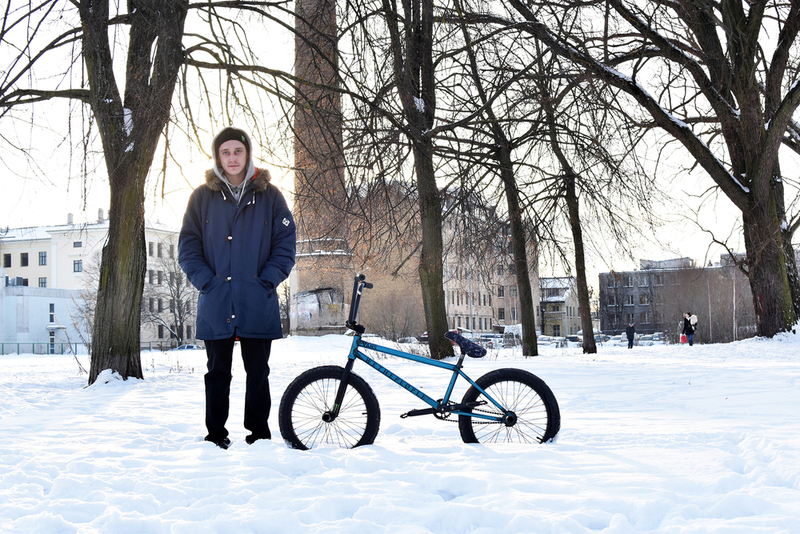 Ed just built up a production version of his signature frame in Trans Frost Blue after almost a year riding his original prototype. CNC machined stay bridges, removable brake hardware and S-bend chainstays are some of the features you will find on this PRO level beast. Photos by Jeff Z for Ride BMX. Like ALL of our aftermarket frames, the AWAKE frame is covered by our full LIFETIME GUARANTEE. We have so much faith in the strength and quality of our frames, that we are willing to replace any frame which breaks due to a manufacturing defect under normal riding conditions. Head HERE to read up more.